Almost every culture or race has a festival where family and identity are celebrated. For Chinese folks, it will be the Chinese New Year (CNY) festival. I will not be joining the rush and travel up to Petaling Jaya this year. I will definitely miss the experience of CNY in the childhood home I grew up in. Somehow, when traditions are relived, the past seems to come alive, enriching the present. The dishes are familiar, the floor were the same ones which I used to walked on as a child and of course, the presence of my siblings and mama, all reminding me that indeed "blood is thicker than water." Even the CNY songs are the same and indeed how can any CNY passed by without hearing Kong Si kong Si Ni. This used to be blared out though the Rediffusion, the brown box which used tor transfixed so many households. Many will remember the stories of Lee day Soh. To hear a story and imagine the rest in your mind can sometimes be more fascinating and endearing compared to watching it. The Reunion Dinner on CNY Eve is the most important gathering for most families. On the table will be dishes which carry the family tradition, may it be Nonya, Hakka or Hokkien.Therefore, home cooking is preferred, if at all possible. The Wong family have their usual dishes. Many of the recipes can be found on this blog. The atmosphere is not quite the same here though there is also much to celebrate with my in-laws. In modern, urbanised and high-rise Singapore, the concept of celebration as a village, clan or neighbours is largely lost. Added to that, there is no noisy firing of crackers (Singapore tak boleh!) or fireworks to gather all. And so, all across the city, in countless little huddles in HDB flats, mostly behind closed doors, the homing magnet gathers ties that bind. Is there is no fire-crackers and a village atmosphere, at least we have families gathering together. That indeed is priceless. 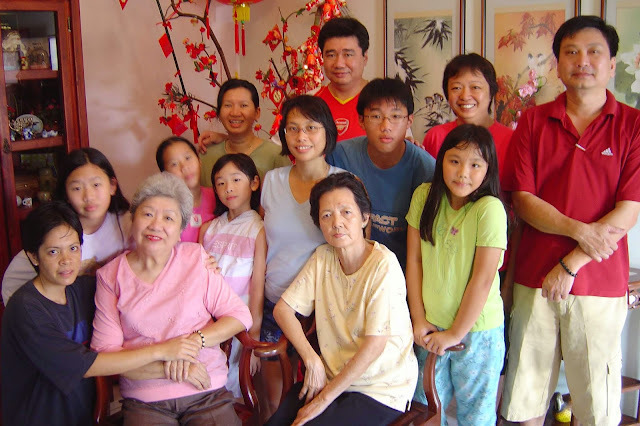 No matter how warm or strained family ties are, all across Singapore, families still try to gather. There is an unspoken forgiveness or a staying of grievances. As conversations flow, we remember that family is a given and gift. Whatever or whoever, we ought to receive it with gratitude. Going beyond a truce, some mending may actually happen. For a few days, work is set aside as the home becomes centerstage. It has been a while since one stood at the balcony and stared at his neighbourhood. To have the whole family gathered in the living room is a rare moment indeed. Indeed, the living room is no longer the a gathering place as families often retreat to their own PC or smartphone devices in their rooms. Hopefully during CNY, that will be different. The ambitious career persons readjust their perspective. After all, the home is a graveyard of ambition. As a proud father watches his children, the unquenchable desire for public honour recedes into the background. Problems at work are temporarily forgotten. 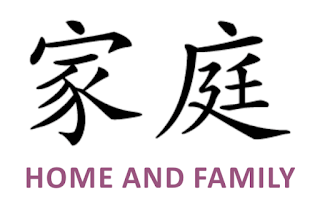 The second day will be about visiting relatives, and on the third day, close friends. For those who come from broken families, the reunion night can cruelly open some old wounds. I don’t think those wounds can be healed completely on this side of life. But CNY celebration stretches long enough to remind one that close and faithful friends are still some of the good gifts of life. Indeed, "every good and perfect gift is from above, coming down from the Father …” so says the Bible in James 1:17. We can be grateful for the many gifts that God has given us through our culture, family and friends. Wishing all of you a wonderful and blessed Chinese New Year.